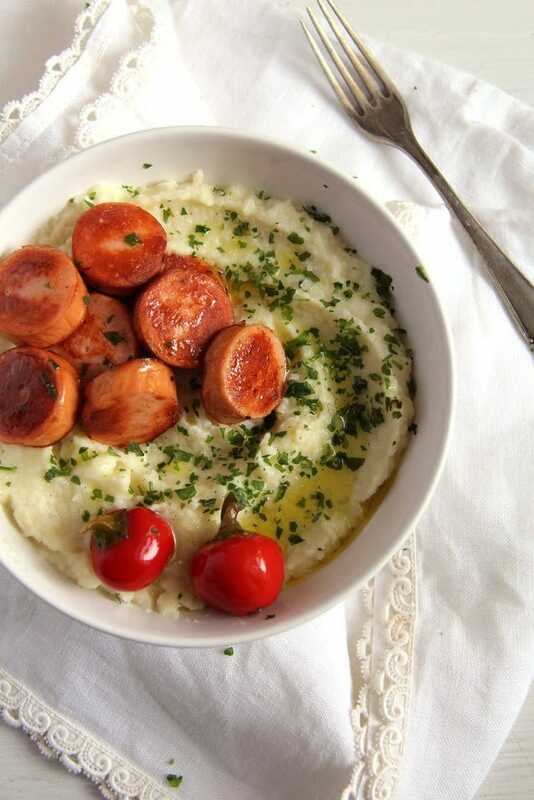 Creamy cauliflower mash recipe with potatoes and garlic, the perfect low carb side dish. 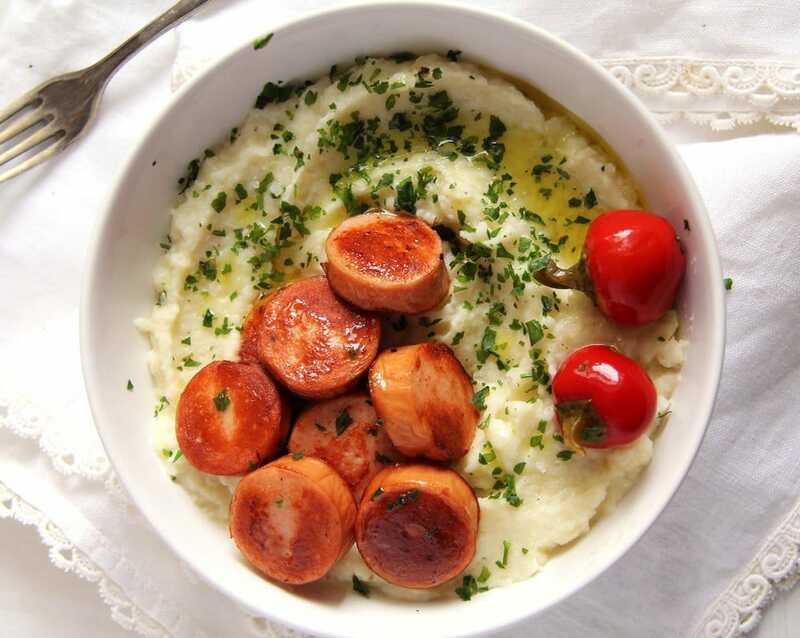 A very easy, quick and healthy recipe for you today – Mashed Cauliflower and Potatoes – this is one of my favorite side dishes at the moment. 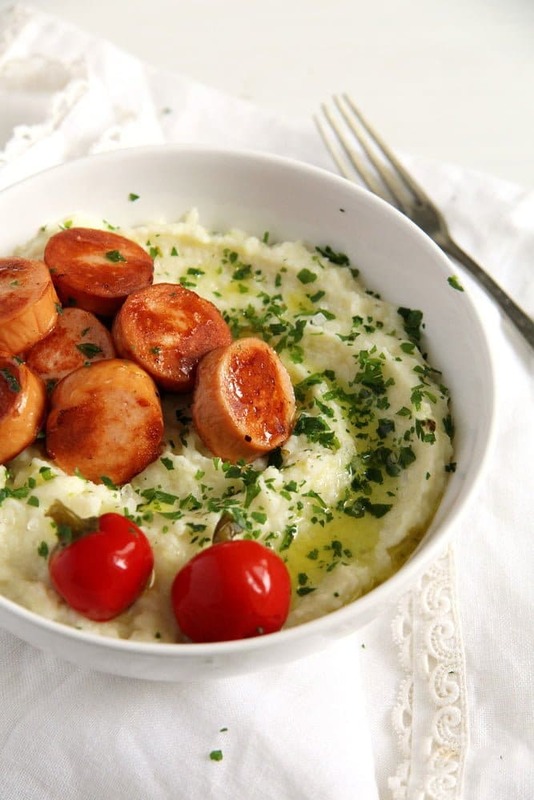 Although this recipe for cauliflower mash seems to be known all around the world, I found the recipe for this version in another old Romanian cookbook written by Sanda Marin. That is the pseudonym under which Cecilia Simionescu, the daughter of a well-known professor at the beginning of the 20th century published her cookbooks. Her first cookbook was published in 1936 (the year my grandmother was born) and has been republished many many times ever since. After 1989 the original edition of the book got republished and that is the version I own as well. I like reading the book, the recipes are short and quite interesting, even for me, who grew up eating only Romanian food. 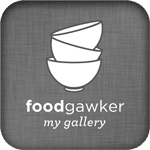 There are lots of recipes I would love to try and I like knowing that they are such old recipes, all what we would call “clean eating” nowadays, no funny things insides, everything kept healthy, simple and seasonal. 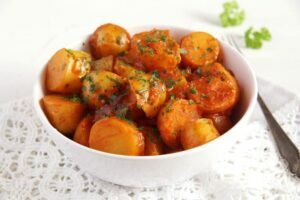 I have changed the original recipe a bit, added some garlic and some nutmeg, but the principle is simple and you can either keep to this version or change it easily to suit your own taste. 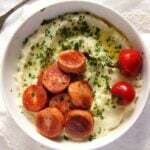 I made this with fresh and frozen cauliflower, both versions were just as good. 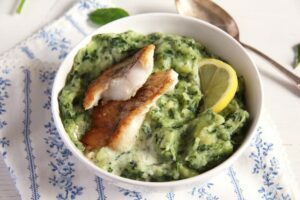 And in case you have some cauliflower (or even broccoli) stems left over from cooking another dish where you only used the florets, do take that opportunity and make the mashed cauliflower and potatoes, the stems are a perfect fit for this recipe. 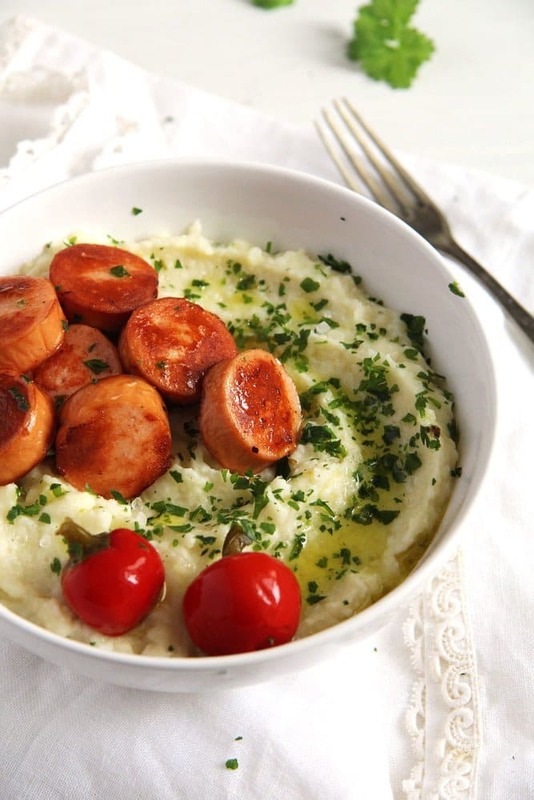 You can serve the mashed cauliflower and potatoes with just about anything, from meat and poultry to fish or vegetarian main dishes. We had it with roast, sausages, fish and meatballs until now. And in case you have some leftovers, first of all they can be easily reheated if you wish, or you could add some vegetable or chicken broth and make a soup out of it. Totally delicious! Bring a large pot of water to a boil. Add some salt, the chopped cauliflower and potatoes and cook them until soft, about 20-25 minutes. Drain and mash well. Add the butter, milk, smetana, grated garlic clove, freshly grated nutmeg, salt and pepper to taste. You can adjust the milk quantity to your liking. Start with 2 or 3 tablespoons and add more for a thinner consistency. Sprinkle some chopped parsley on top. Serve hot. I know and remeber everything you wrote about history. These time was not so long time ago and I realy hope that never come back. And I hope you will publish and modernize these old recipes. Because as you said. Time was terrible but food was poor but fair and real. Very delicious! The mashed cauliflower is one of my favourites too. How very interesting! I never would have thought that recipes in a cookbook would be “censored”. Thanks for sharing that info and this recipe. 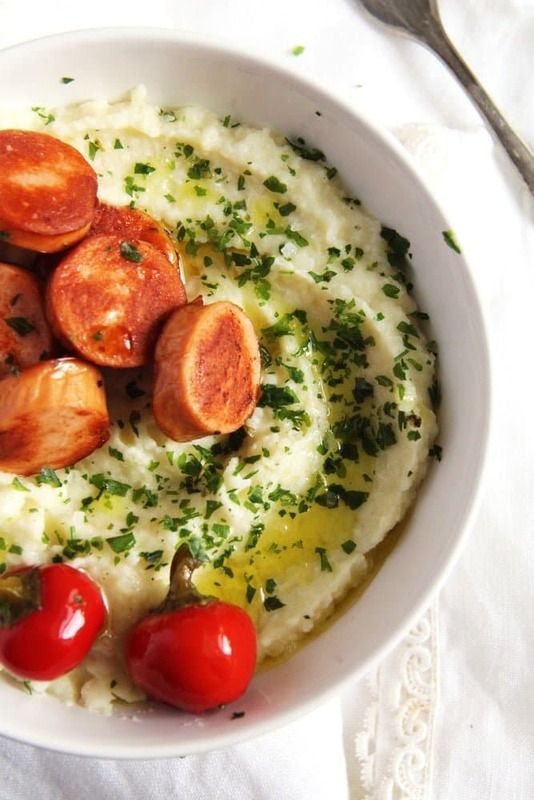 What a great way to tone down the starchiness and carbs of mashed potatoes.